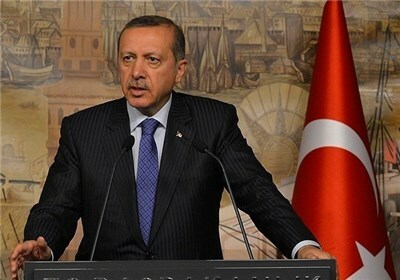 Press TV- The Turkish president says his country should not be “fixated” on joining the European Union and could instead seek accession to the Eurasian Shanghai Pact organization dominated by China and Russia. “Turkey should first of all feel relaxed about the EU and not be fixated” about its membership, Recep Tayyip Erdogan was cited in Sunday media reports as saying, as Ankara continues to rile up Brussels with its EU-unfriendly moves. Turkey has been trying to join the EU since the 1960s. The formal negotiations started in 2005. The two sides reached a landmark deal in March to stem the unprecedented flow of refugees into Europe. Under the agreement, Ankara agreed to receive all refugees landing on the coasts of Greece in return for concessions, including billions of dollars in funding, accelerated talks on Turkey’s accession to the EU, and visa-free travel for Turks to the Schengen Area. The bloc, however, has only opened 16 chapters of the 35-chapter accession process for Ankara and refused to lift the visa ban, finding fault with Ankara’s treatment of opposition, especially in the aftermath of a mid-July failed coup against Erdogan. The putsch has been followed by mass arrests and expulsions as well as reported torture, ruffling feathers in Brussels. For its part, Ankara has accused the EU of treating the country differently regarding its accession attempt and failing to unlock all the cash it had promised to disburse to Turkey on the back of the refugee deal. “Some may criticize me but I express my opinion,” Erdgoan added, explaining on why the country should not put too much emphasis on EU membership. “For example, I say ‘why shouldn’t Turkey be in the Shanghai 5?,” he asked. Erdogan said he had already discussed the idea with Russian President Vladimir Putin and his Kazakh counterpart Nursultan Nazarbayev. “I hope that if there is a positive development there, I think if Turkey were to join the Shanghai Five, it will enable it to act with much greater ease,” added the Turkish head of state. The Shanghai Cooperation Organization (SCO) — also called the Shanghai Pact — is a security and economic bloc led by Russia and China. Other members are Kazakhstan, Kyrgyzstan and Tajikistan.